AEG Facilities and SMG have revealed plans to merge, creating a standalone global facility management and venue services company which will operate under the name ASM Global. AEG Facilities the venue management subsidiary of Anschutz Entertainment Group (AEG), the worldwide sporting and music entertainment giant and one of the world's largest owners of sports teams and sports events. SMG is a stadium and sports arena manager owned by Canadian private equity group Onex. The deal will see Onex and AEG each own 50 per cent of ASM Global. The newly created company will be headquartered in Los Angeles, California, with key operations also based in Philadelphia, Pennsylvania. The company will operate AEG's and SMG's diversified portfolio of arenas, stadiums, convention centres and performing arts centrws. In total, the estate will have more than 310 venues across five continents. 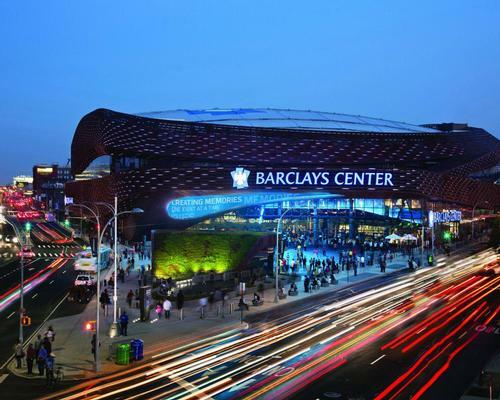 High profile venues to be operated by ASM Global will include the Barclays Center in New York, US; AT&T Center in San Antonio, US; Dubai Arena in the UAE; Ericsson Globe in Stockholm, Sweden and the Suncorp Stadium in Brisbane, Australia. “This merger is a major step for our industry," said Wes Westley, CEO and president of SMG. "We plan to accelerate innovation by combining our expertise to deliver increased value and offer enhanced capabilities to municipalities and venue owners worldwide. Newman will become president and CEO of ASM, while Westley will join ASM’s board of directors. AEG will retain ownership of its real estate holdings outside of the new venture, including its entertainment districts and owned venues in Los Angeles, London, Hamburg and Berlin. It will also retain its development, sports, music and sponsorship divisions. Onex is contributing its entire equity investment in SMG into the merger. The transaction is expected to be completed later this year subject to regulatory approvals.